Tooth agenesis is the most prevalent craniofacial congenital malformation in humans. 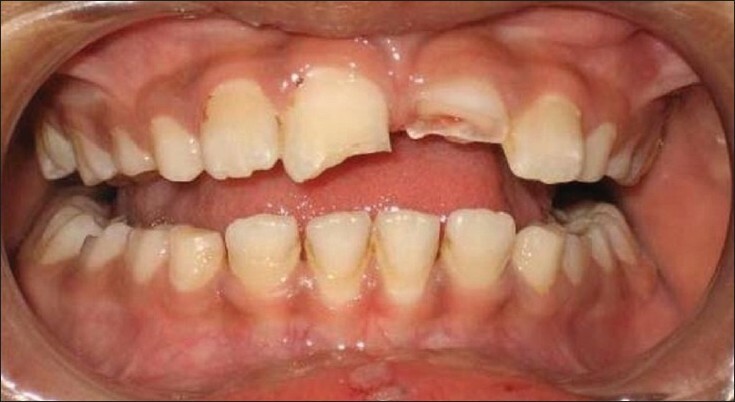 While tooth agenesis may be associated with several syndromes, non-syndromic hypodontia refers to the congenital absence of a few teeth in the absence of any other deformity. Recent advances in molecular genetics have made it possible to identify the exact genes responsible for the development of teeth and trace the mutations that cause hypodontia. This paper reviews the literature regarding the genetic basis of non-syndromic tooth agenesis, methods used to study it, and the genes that have been definitively implicated in the agenesis of human dentition. Background: Oil pulling therapy has been used extensively as a traditional Indian folk remedy for many years for strengthening teeth, gums, and jaws and to prevent decay, oral malodor, bleeding gums and dryness of throat, and cracked lips. Aims: The aims of this study were to evaluate the effect of oil pulling with sesame oil on halitosis and the microorganisms that could be responsible for it and to compare its efficacy with chlorhexidine mouthwash. Materials and Methods: Group I (oil pulling) and group II (chlorhexidine) included 10 adolescents each. The following parameters were assessed: marginal gingival index, plaque index, organoleptic breath assessment (ORG 1), self-assessment of breath (ORG 2), and BANA test from tongue coating samples on days 0 and 14 of the experimental period. Results : The comparisons of the pre and post therapy values of plaque and modified gingival index score showed a statistically significant difference (P = 0.005 and 0.007, respectively) in group I and II. There was a definite reduction in the ORG 1, ORG 2, scores and BANA test score in both groups I and II. Conclusions: Oil pulling therapy has been equally effective like chlorhexidine on halitosis and organisms, associated with halitosis. Introduction: Information on the origin of dental fear and uncooperative behavior in a child patient is important for behavior management strategy. The effects of environmental factors have been comparatively less studied, especially in an Indian scenario. Objectives: To find the association of (1) age, gender, family characteristics, previous medical, and dental experiences with dental fear and behavior (2) dental fear with dental behavior. Materials and Methods: A cross-sectional questionnaire study involving 125 children aged between 7 and 14 years undergoing dental treatment under local anesthesia. The parent completed a questionnaire on family situation, medical history, and past dental experiences of the child. Child's dental fear was recorded using Children's Fear Survey Schedule-Dental Subscale and behavior was rated using Frankl Behaviour Rating Scale. Statistical Analysis: Data were analyzed using chi square test and binary logistic regression analysis. Results: Unpleasant experience in dental clinic and age of the child significantly influenced dental behavior. Visited pediatrician in the past one year, prior history of hospital admission, previous visit to dentist, experience at the first dental visit, and age of the child were contributing factors for dental fear. There was also significant association between dental fear levels and behavior. Conclusions: In 7 to 14 year olds, dental fear influences dental behavior, but the factors affecting them are not the same. Although dental fear decreases and dental behavior improves with age, experiences at the previous dental visits seem to influence both dental fear and behavior. Past medical experiences are likely to influence dental fear but not dental behavior. Introduction: Visually impaired children daily face challenges for bearing their everyday skills. Maintenance of proper oral hygiene is one among them. Aim: The aim of the study was to assess the oral health knowledge, practice, oral hygiene status, and dental caries prevalence among visually impaired children in Bangalore. Materials and Methods: A total of 85 children were asked verbally a questionnaire regarding the frequency of brushing, cleaning tools, use of dentifrice, knowledge about the role of sugar in producing dental decay, and frequency of visit to the dentist. All children were screened and DMF and def scores were recorded and oral hygiene status were assessed by Green and Vermillion index. Results: Green and Vermillion index. Kruskal Wallis Chi square test was performed and no statistically significant results were obtained with DMF and def scores as well as OHI scores across different ages in the range of 8 to 13 years. A highly statistically significant result was obtained with dental caries prevalence and oral hygiene status of visually impaired children. Conclusions: The present study shows not much worsening of oral health status in the study population. A little extra care by the parent or caretaker regarding oral hygiene can give drastic results in reduction of dental caries. Purpose: The aim of the study was to find the relationship between salivary IgA (s-IgA) levels and dental caries in children. Materials and Methods: A total of 40 children in the age group of 8 to 12 years were selected and divided into two groups. Group I with DMFT score 0 and Group II with DMFT score ≥3. The whole unstimulated s-IgA levels were estimated using ELISA method. Results: Whole s-IgA levels were significantly higher in group II with DMFT score ≥3 as compared with group I with DMFT score 0. Conclusions: There was an increase in s-IgA levels in caries-active mouth to give protection mechanism against dental caries and the Streptococcus mutans which are active in caries-active mouth. The s-IgA antibodies can play an important role in control of dental caries. Aim: There are many studies on the effect of preprocedural mouth rinses in adults, but there is a dearth of the literature on the effects of these mouth rinses in children. This study aims to evaluate the efficacy of two commercially available brands, one containing chlorhexidine 0.12% (Colgate Periogard) and the other containing cetylpyridinium chloride 0.05% (Johnson and Johnson's Reach) used as preprocedural mouth rinses in children. 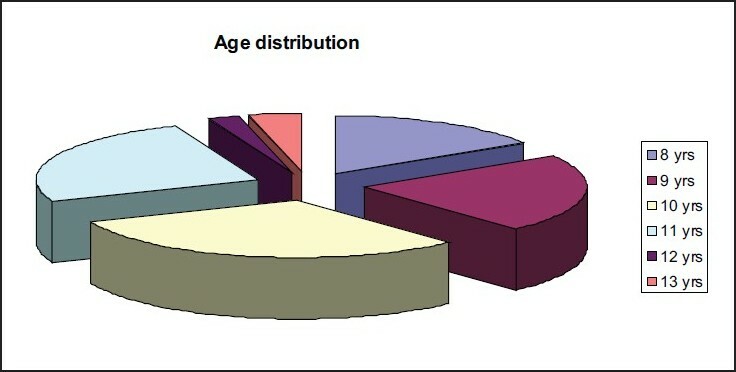 Materials and Methods: The study was conducted on 18 patients in the age group of 10-15 years. A crossover design was used with the random assignment of the first rinse tested and a wash out period of at least 1 week before the second rinse was used. The saliva samples were collected prerinse, 2 min, 30 min, and 60 min after rinsing with the solution. The samples were inoculated and cultured for aerobic and anaerobic microorganisms. After 48 h, the resultant bacterial colonies were counted. Results: Statistical analysis was done using Wilcoxon's signed rank test, ANOVA, and Newman-Keul's studentized range test. Periogard had the highest percentage reduction in both aerobic and anaerobic microorganisms followed by Reach and the least effective was normal saline which was used as a control. Conclusions: Periogard is comparatively better as a preprocedural mouth rinse than Reach. This study was conducted on 160 children, in the Bagalkot district of Karnataka state between August and October 2010, with the aim of finding out if there is a relation between dental fluorosis status and Intelligence Quotient (IQ). Children were categorized as, those suffering from dental fluorosis and those not suffering from dental fluorosis and for all children in both categories, Intelligence testing was done using the Raven's Coloured Progressive Matrices. The following observations were made from the data gathered: The mean IQ score of children without dental fluorosis was significantly higher than those children who had dental fluorosis. The mean IQ scores did not vary with the severity of dental fluorosis as classified by Dean's fluorosis index. Also it was noticed that the percentage of children with dental fluorosis was more in Extremely Low and Low IQ categories whereas the percentage of children without dental fluorosis was more in Average and High Average IQ categories. Previous studies had indicated toward decreased Intelligence in children exposed to high levels of fluoride and our study also confirmed such an effect. 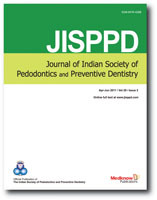 Aim: This study was conducted to evaluate clinical and radiographic success of endodontic treatment of infected primary teeth using two combinations of antibacterial drugs consisting of ciprofloxacin, metronidazole, and minocycline in one group and ciprofloxacin, ornidazole, and minocycline in the other group. Materials and Methods: The selected 40 teeth were randomly divided into two groups, viz. groups A and B with 20 teeth in each group. In Group A, antibacterial paste containing ciprofloxacin, metronidazole, and minocycline and in Group B, antibacterial paste containing ciprofloxacin, ornidazole, and minocycline mixed with propylene glycol were used. Medication cavities were filled with antibiotic pastes, depending on the groups followed by Glass Ionomer restorations and stainless steel crown placement. Clinical and radiographic evaluation was carried out at 3, 6, and 12 months intervals. Results: Both the groups showed considerable clinical and radiographic success. There was no statistically significant difference between Group A and B. However, group B showed better results clinically and radiographically compared with group A. Conclusions: Both the antibacterial pastes, i.e., combination of ciprofloxacin, metronidazole, and minocycline and ciprofloxacin, ornidazole, and minocycline mixed with propylene glycol have shown good clinical and radiographic success in treating necrotic primary teeth. Aim: The aims of the study were to determine and compare the primary dentition caries experience and the variables that may influence the occurrence of caries, in preterm low birth weight and full term normal birth weight children aged one to six years. Settings and Design: A cross-sectional comparative study was conducted among 250 full term normal birth weight (FTNBW) and 250 preterm low birth weight (PTLBW) children one to six years, born in the two hospitals in Davangere: Bapuji Hospital and Chigatere Hospital. A purposive sampling was used to select the study group. Materials and Methods: Required and relevant information regarding demographic characteristics, feeding practices and oral hygiene practices were obtained. Dentition status and treatment need index (World Health Organization 1997) was used to record dental caries. Statistical analysis used: Chi-square test, Student's t-test and ANalysis Of VAriance (ANOVA) test were used for statistical analysis. Results: Statistically significant difference was observed in caries prevalence between PTLBW and FTNBW groups (P<0.05), however, the difference in mean Decayed, missing and filled teeth index (dmft) was not statistically significant (P=0.30). Statistically significant differences were observed in caries experience between the two groups in relation to exclusive breast feeding for longer duration, i.e 7-12 months (P<0.05), bottle feeding habits (P<0.05) and sticky food consumption (P<0.01). Conclusions: A significant relationship was found between caries and PTLBW status though the difference in caries experience between the groups was not statistically significant, thus illustrating the higher caries risk in PTLBW children compared to FTNBW children. This in vivo study was conducted to compare and evaluate the microleakage of two modified glass ionomer cements on deciduous molars. Thirty children (10-16 years) were selected. In each patient, standardized class V cavities were prepared on the buccal surfaces of two different retained deciduous molars and these cavities were restored with GC Fuji II LC (Improved) and GC Fuji IX GP, respectively. Following a period of four weeks after the restoration, these teeth were extracted and immersed in 2% Basic Fuschin dye solution for 24 hours. The depth of dye penetration was assessed after sectioning the teeth and the microleakage determined. The results were statistically analyzed using Student 't' test. It was concluded that both the materials, GC Fuji II LC (Improved) and GC Fuji IX GP were comparable in performance and can be considered to be materials safe for Pedodontics usage, and decrease bacterial penetration. Aims: In vitro evaluation of the shear bond strength of composite resin bonded to enamel which is pretreated using acid etchant or pulsed Nd:YAG. Qualitative morphological changes in enamel surfaces were observed under a scanning electron microscope (SEM). Materials and Methods: 60 extracted human teeth were divided in two groups of 30 each (Groups A and B). In Group A, prepared surface of enamel was etched using 35% phosphoric acid (Scotchbond, 3M). In Group B, enamel was surface treated by a surgical Nd:YAG laser beam (Medilas 4060 Fibertom) at 0.8 W, 10 Hz, for 10 s with 80 mJ/pulse power. Bonding agent (single bond dental adhesive, 3M) was applied over the test areas on 20 samples of Groups A and B each, and light cured. Composite resin (Z 100, 3M) was applied onto the test areas as a 3 mm diameter cylinder, and light cured. The samples were tested for shear bond strength. Remaining 10 samples from each group were observed under SEM for morphological changes. Results: The mean shear bond strength was 20.00 MPa (΁ 1.93) and 13.28 MPa (΁1.97) for Group A and B, respectively. The difference in mean values was statistically significant between Groups A and B (P<0.001). Under SEM, Group A showed typical honeycomb appearance and Group B showed bubble-like cavities. Conclusions: In enamel, acid etch technique showed higher shear bond strength. Introduction: This study was conducted with the aim to investigate the acidogenic potential of three commonly used pediatric medicines (benadryl syrup, crocin syrup, and novamox dry syrup) upon plaque pH. Materials and Methods: The protocol used in the study followed the guidelines laid down at Scientific Consensus Conferences on methods for assessment of cariogenic potential of food, San Antonio, Texas. Ten young healthy adult volunteers were selected for the study. Subjects were refrained from brushing their teeth for 48 h and did not eat or drink for at least 2 ΍ h prior to each appointment. pH measurements were taken at baseline to determine resting plaque pH and at time interval of 5, 10, 15, 20, 25, and 30 min following a 1 min rinse with each medication. 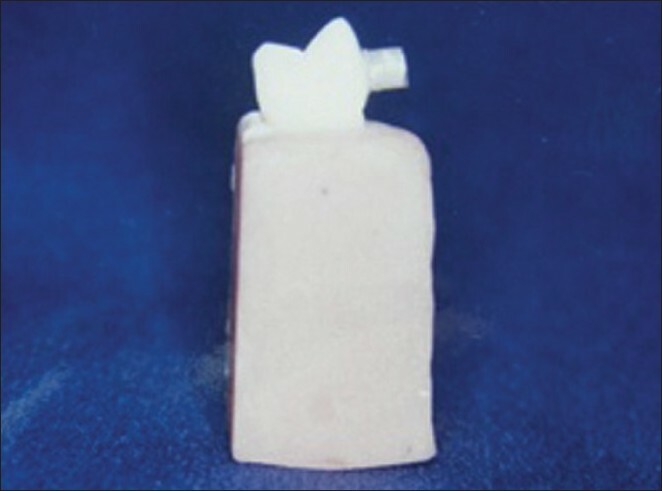 A pooled sample of plaque was removed from buccal / lingual surfaces, thoroughly mixed with 0.6 ml of double distilled deionized water and plaque pH was determined using a glass combination electrode. Data were compared with plaque pH changes after rinsing with control solution of 10 % sucrose and 10 % sorbitol. Analysis of minimum pH, maximum pH drop, and area under the baseline pH was computed for each medicine and for each case and the test of significance was conducted through the unpaired Student 't' test. Results: There was no significant difference between the benadryl syrup, crocin syrup, and sucrose solution as the medicines behaving essentially same as ten percent sucrose solution with respect to their potential to generate acids. 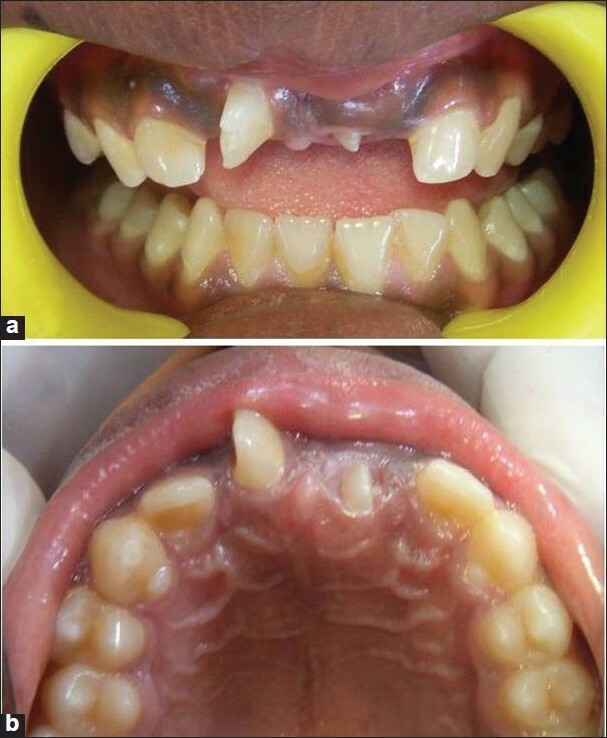 Delayed eruption of maxillary permanent central incisors in a child poses a distressing esthetic quandary to parents, by virtue of its location in the dental architecture. Well-aligned anterior teeth add confidence to smile and have enhanced self-esteem, which is critical even in early life. Impaction of the maxillary central incisors compared to third molars or the canines is less reported; bilateral supplemental maxillary central incisors related to impacted permanent maxillary central incisors are rare and one of the supplemental central incisors showing unusual talon is still infrequent. A case of impacted maxillary permanent central incisors related to supplemental maxillary central incisors, with one of them showing an unusual talon cusp, is presented. Epidermolysis bullosa (EB) is a wide spectrum of rare genetic disorders characterized by marked fragility of the skin and mucous membranes in which vesculobullous lesions occur in response to trauma, heat, or no apparent cause. This case report deals with the dental and anesthetic management of a 10-year-old girl with dystrophic EB. Diverse consequences to the trauma to primary dentition are sometimes difficult to explain. This report describes a rare case of sequelae to primary tooth trauma. 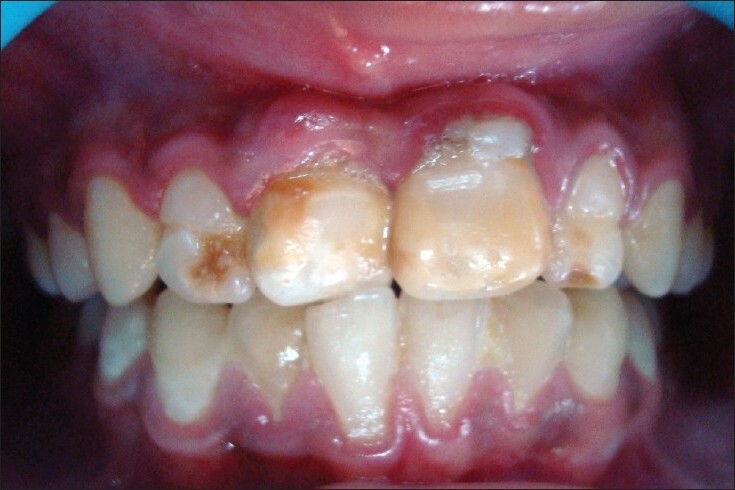 The traumatic episode which occurred at the age of 3 years resulted in abnormally large crowns of 11 and 21 with yellowish-brown discoloration and enamel hyperplasia. It also led to dilaceration in the root of 21 and enamel hypoplasia with discoloration in 12 and 22. Hand, foot and mouth disease (HFMD) is an acute viral illness with a distinct clinical presentation of oral and characteristic distal extremity lesions. Knowledge of this is important for the dentists as the oral lesions are the first clinical signs and sometimes may be the only sign because the condition occasionally may regress even before the lesions appear on the extremities. 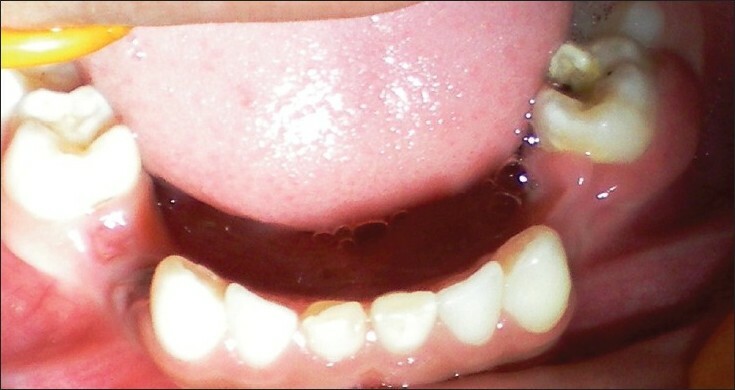 This case describes a 5-year-old boy in whom low-grade fever of 38.7°C and oral lesions were the initial manifestations. Proper diagnosis was established later based on the typical location of the initial intraoral ulcers on the soft palate followed by cutaneous lesions on the hands and feet with vesicle formation surrounded by an erythematous halo. 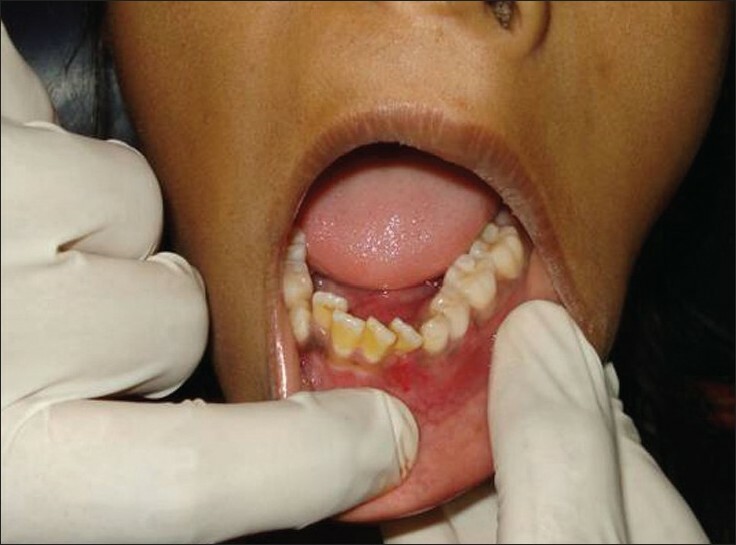 The recognition of HFMD is important for both pediatricians and pedodontists as oral manifestations are the first signs and may mimic many other conditions like acute herpetic gingivostomstomatitis, apthous stomatitis, chickenpox, erythema multiformae and misdiagnosis may involve an inappropriate prescription of medication. The Lacrimo-auriculo-dento-digital (LADD) syndrome is an autosomal dominant inheritance pattern with marked variability of inheritance. It is characterized by abnormalities of lacrimal and/or salivary system, anomalies of ears, teeth and limbs. Persistent dry mouth and enamel hypoplasia cause serious dental effects. 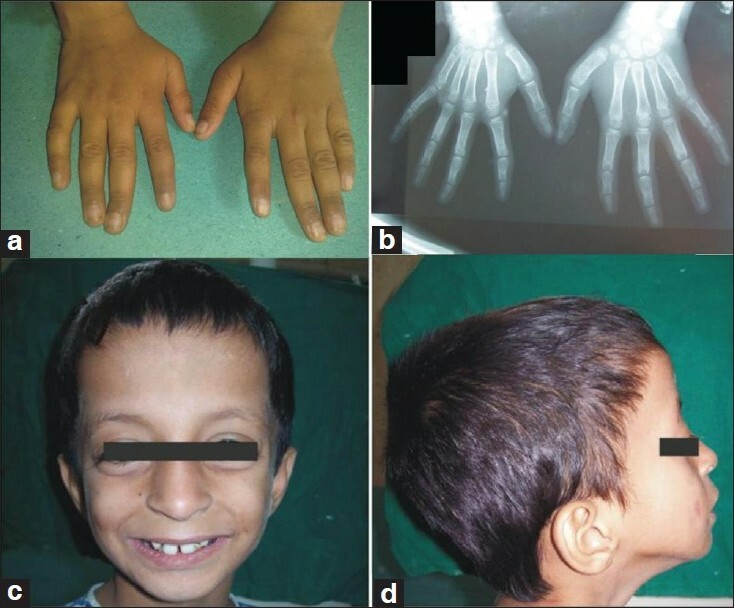 Here, a case of LADD syndrome, its clinical spectrum and accompanying therapeutic challenges is discussed. Traumatic dental injuries of uncomplicated nature are a common finding and upper central incisors are the most commonly affected teeth. Sometimes, the fractured fragment or the tooth gets embedded in the surrounding soft tissues and is often missed. There are few case reports regarding the retrieval and reattachment of tooth fragment. 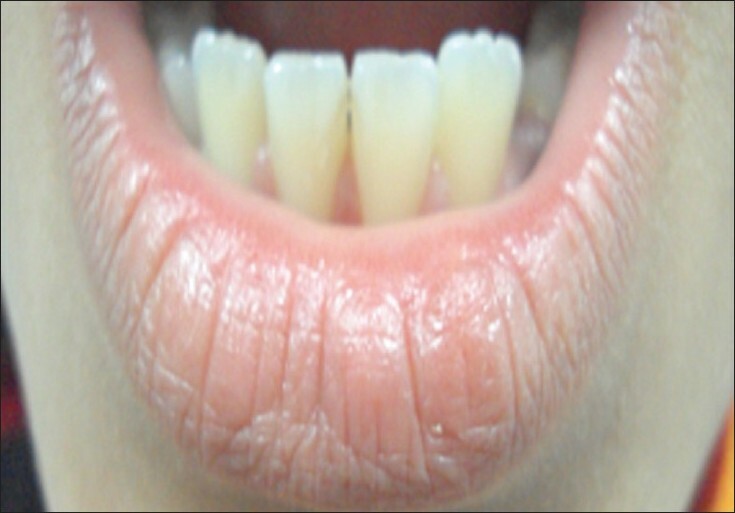 This report presents the case of an 8-year-old girl who came with the chief complaint of pain, irritation, and tingling sensation in the lower lip since one year when her upper central incisors got fractured due to trauma along with lip laceration. A soft tissue radiograph of lower lip revealed the presence of fractured tooth fragment which was then surgically removed and reattached to one of the fractured incisors. The patient was found to be asymptomatic after the procedure. This report further highlights the importance of proper radiographic diagnosis along with clinical examination immediately after trauma in order to prevent any complications in future. Osteomyelitis is an infection of the bone or bone marrow, usually caused by pyogenic bacteria or mycobacterium. Osteomyelitis, inflammatory process of the bone and its structures, can be acute or chronic. Taking a journey from a nonsurgical approach to a surgical one, it appeared to be one osteomyelitis revenge against all our efforts. The pain, the pus, the new bone formation, and all the trouble, this case showed it all. The injudicious use of antibiotics and delay in providing the requisite treatment can cause devastating effects as in the case of an 11-year-old child. A case report on treating osteomyelitis through medication and realizing that surgical excision remains the only realistic approach, the report talks about the investigations and treatment planning done to deal with it. Anterior crown fractures are a common form of injury that mainly affect children and adolescents. The position of maxillary incisors and their eruptive pattern carries a significant risk for trauma. In the pre-adhesive era, fractured teeth needed to be restored either with pin-retained inlays or cast restorations that sacrificed healthy tooth structure, and were a challenge for clinicians to match with adjacent teeth. The development of adhesive dentistry has allowed dentists to use the patient's own fragment to restore the fractured tooth. Three cases are presented here with complicated crown fracture of maxillary central incisors; the reattachment of the fractured tooth segment in these cases has been performed using different combinations of techniques, viz. simple reattachment, circumferential bevel and internal dentinal groove.